"Who do we know who can come through for us?" 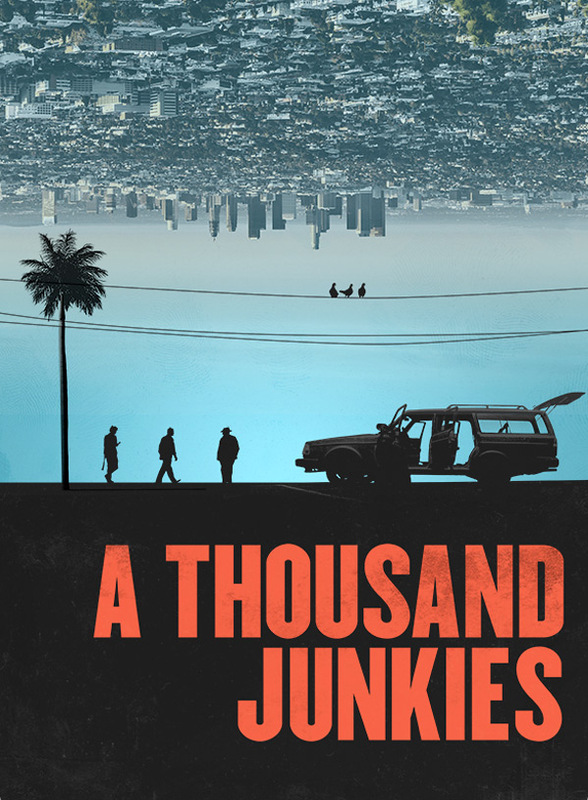 An official trailer has debuted for a funky little indie film titled A Thousand Junkies, set in Los Angeles following a drug junkie looking for his next fix. As much as that sounds like a film no one wants to see, the description is rather intriguing: it's a "'drug' movie with no drugs, and a 'road' movie that goes nowhere." From first-time director Tommy Swerdlow, the film stars TJ Bowen (who co-wrote the script) as TJ, one of the junkies going about his 9 to 5 life of searching for drugs. The cast includes Patricia Castelo Branco, Dinarte de Freitas, and Blake Heron. The Film Stage says the film "is not necessarily a morality tale, nor is it pure voyeurism. It's simply capturing a day in a life — or three, to be more specific." This reminds me a bit of Trainspotting, looks like a good time. Fire it up below. As Los Angeles wakes up and goes to work, so do TJ, Blake and Tommy. Three junkies whose day consists of driving around L. A. in a battered car looking for their next fix, they become increasingly desperate as the day goes on without success. A "drug" movie with no drugs, and a "road" movie that goes nowhere, A Thousand Junkies is a dark, visceral comedy about the 9 to 5 job of being a junkie, and the strange bonds that are formed between addicts. A Thousand Junkies is directed by filmmaker Tommy Swerdlow, an actor/writer who co-wrote the Cool Runnings script, now making his feature directorial debut after a short film previously. The screenplay is written by TJ Bowen and Tommy Swerdlow. This premiered at last year's Tribeca Film Festival. Swerdlow's A Thousand Junkies will arrive direct-to-VOD starting on January 30th.